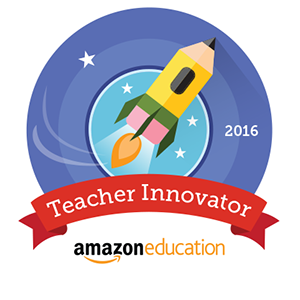 Chrome is gaining popularity in education very quickly. It's fast, reliable, secure, and works really well without having to install lots of plugins, and keeping track of updates. It also offers a huge range of extensions. While these extensions might look great to the general user, just like anything online, there are some who just don't play nice. Some extensions are infested with malware, spyware and adware. So, how do you know which extension is safe and which is not? The easiest way to keep chrome mint, is to not use any extensions at all, but that makes online life boring. Another way is to only install extensions from creators you recognize and trust, but with so many new developers, it's hard to keep track. 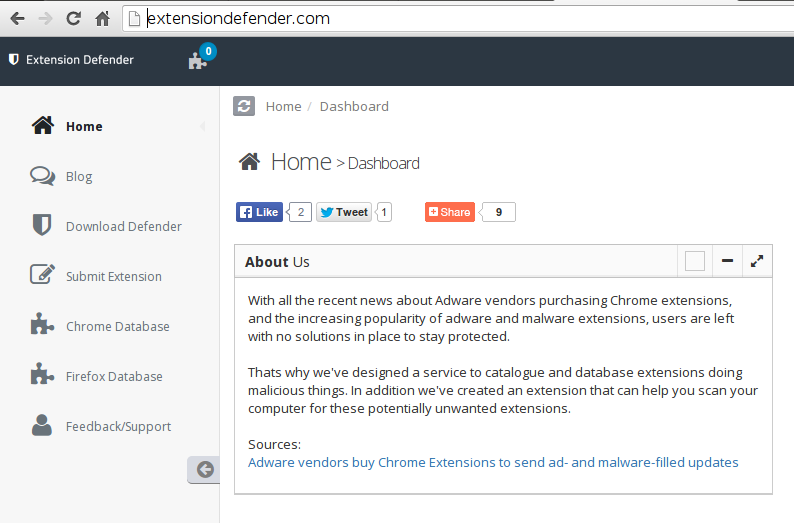 One powerful extension helps to protect your browsing experience is called Extension Defender. 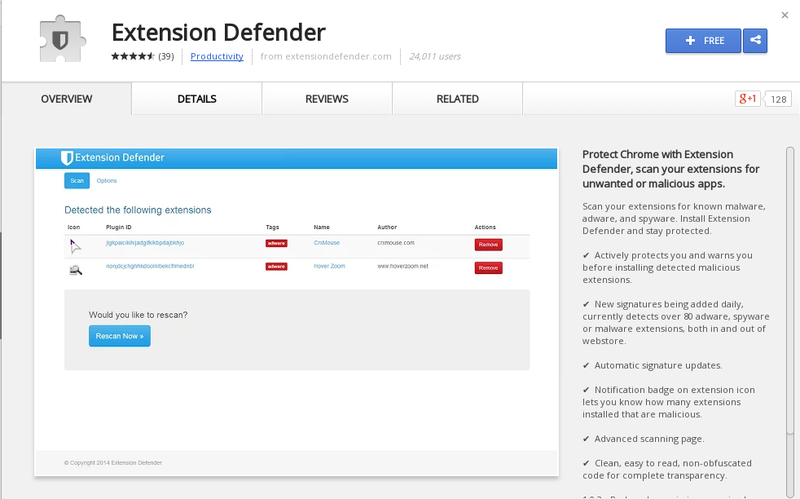 If you install Extension Defender it will scan your current installed extensions for any malicious activity and proactively scan new extensions to ensure that you are not at risk. It is similar to how 360 Security works on your android to scan new apps for malicious code (if it's not on your phone, it should be). If you don't trust installing an extension, you can visit Extension Defender, and sift through their database of known extensions that are potentially malicious. So, if you know an extension you want to install, go to Extension Defender, find your browser, and verify if the extension is malicious or not. Keep your browsing safe, and keep your machine free from malicious activity.